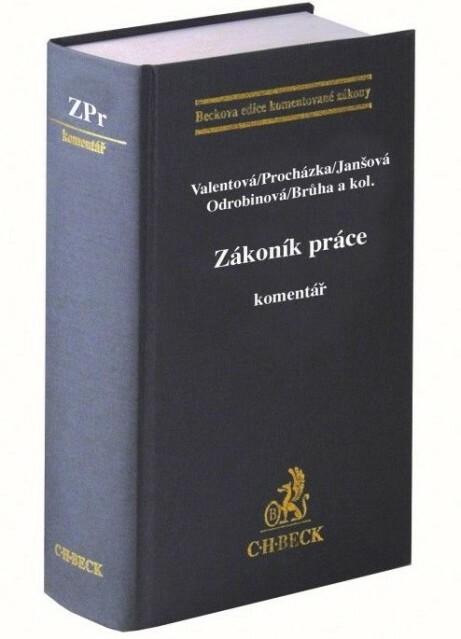 The classic 1162-page “grey commentary” on the Czech Labour Code, which contains a detailed interpretation of provisions and labour law institutes, taking into account all existing jurisprudence and giving a number of examples to facilitate understanding of the issue. The book aims to facilitate the orientation in labour law for all who come into contact with the Labour Code daily, or at least occasionally, whether they are lawyers, judges, corporate lawyers, personnel managers, company managers, or employees themselves. Only lawyers who specialize in labour law matters have contributed to the commentary. 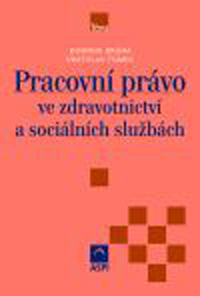 A unique 580-page cross-sectional publication that governs all the most important areas of HR and employment law, such as personnel management, recruitment and selection of suitable employees through job creation, changes and termination, holidays, personal records, remuneration for work, to occupational health and safety protection of employees, relations with the Labour Office, Czech Social Security Administration, health insurany companies and trade unions. The publication is intended not only for HR staff but also for other human resources, line managers, corporate lawyers, payroll accountants, trade union officials etc. 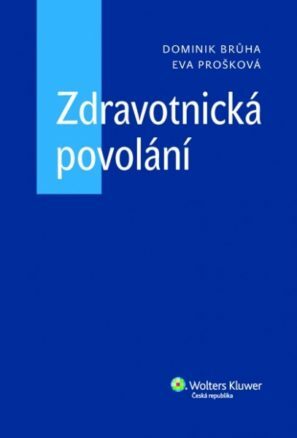 Modern legal textbook for the study of labour law intended for students of law schools, lawyers and HR specialists and, last but not least, for the wider academic and legal public. 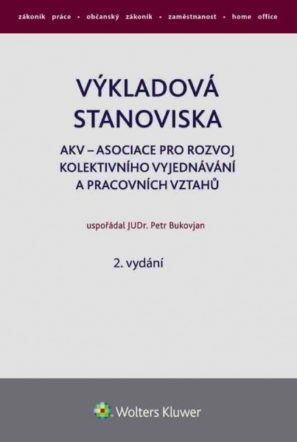 The book currently responds to the state of labor law in connection with the new Civil Code, jurisprudence and practical trends in the employment of persons. The book represents a welcome aid for all professionals who focus in detail on labour law. The usual experience of most lawyers states that legal commentary ends where a real legal problem begins. Expert opinions of the AKV has been trying for the last 25 years to present possible solutions where the law, the available case law, or the opinions of ministries and other central government bodies do not provide answers to application of practice problems. Representatives from private consulting and advisory services, academia, legislation, central government authorities, as well as experts from major corporations took part in the adoption and formulation of the opinions presented in this book. Comprehensible interpretation of labor law issues in health and social facilities. A practical tool for corporate lawyers, human resources and trade unions. The publication will also be appreciated by senior management of hospitals at various levels of management and all who want to become familiar with labor law issues in health and social services. The interpretation is complemented by a number of concrete practical examples. Dominik Brůha is a permanent collaborator of the most renowned magazines in the field of labour law and human resources, such as Payroll clerk (ANAG), Work and remuneration (Wolters Kluwer) and Practical HR (ANAG).